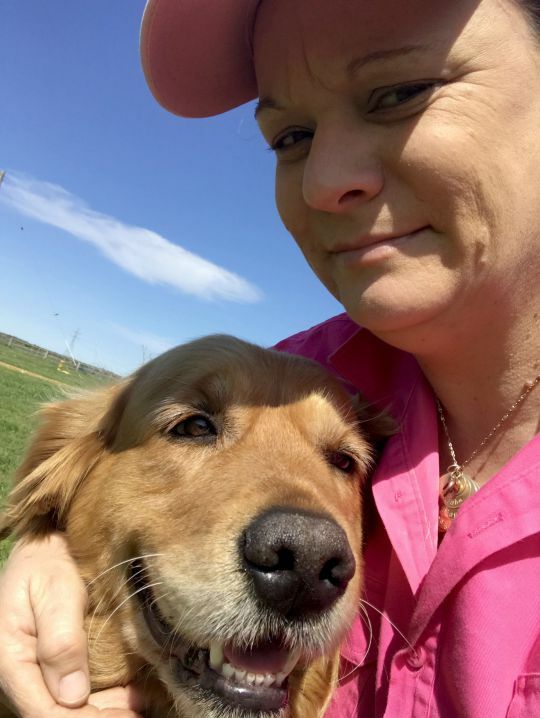 Dogs bring all sorts in after their walks; leaves and mud being the general things. 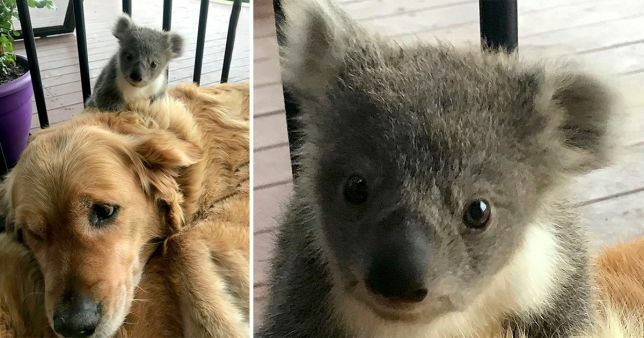 Asha, a five-year-old golden retriever, gave her owner the shock of her life recently, bringing home an abandoned baby koala she’d saved. Asha’s owner Kerry McKinnon, 45 from Victoria in Australia, hadn’t even woken up yet when she had a call from her husband to come downstairs. She says, ‘I didn’t know what he was talking about at first but then I saw this tiny koala snuggled on top of Asha. ‘I just burst out laughing. Poor Asha didn’t know what to think, she just kept looking at me with such a confused look. ‘She looked a bit guilty when I came out to see what was going on. Her expression was hilarious.’ While Asha had been out sleeping on the porch, it’s likely the marsupial – who had been abandoned from its mother – was looking for somewhere warm. Temperatures at night in the area can go below 5C, and Kerry says the koala ‘never would have made it through the night’ without Asha’s cosy fur to cuddle up in. It’s likely the joey fell out of its mum’s pouch, and due to the foxes or other predators in the area could’ve suffered a much worse fate without the goldie stepping in.